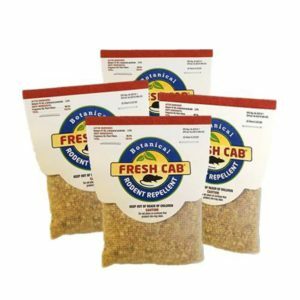 Home / Blog / What happened to Fresh Cab Rodent Repellent? EarthKind was created with a mission to help people preserve the good and prevent the rest. We remain committed to protecting people, pets and the planet from pest infestations and from the harmful chemicals found in many pest control products. We are excited to offer high performance, plant based pest repellents to customers across the country. Why can’t I find Fresh Cab? After celebrating our 10-year anniversary in 2017, we realized it was time for a 10-year review of our flagship product, Fresh Cab Rodent Repellent. Upon review, it came to our attention that there was room to improve. Many businesses prioritize their bottom line, but customer safety and satisfaction is our number one concern. Although Fresh Cab consistently breaks sales records, and has been proven effective time and time again, we wanted to offer you the very best. So we took the product off of the market while we complete our review. EarthKind continues to lead the pest control industry in a new direction, one that is friendly to people, pets and the planet. Changing seasons bring rodents indoors for the winter. That doesn’t mean you have to resort to dangerous and inhumane mouse control methods. 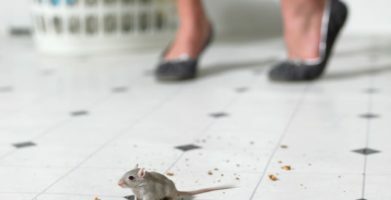 We’ve created another option to protect your home from rats and mice and prevent infestations. 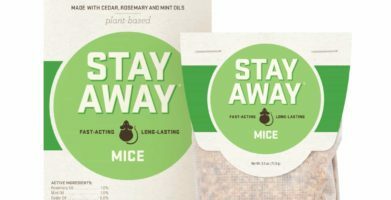 Stay Away® Mice repels rodents the same way as Fresh Cab. 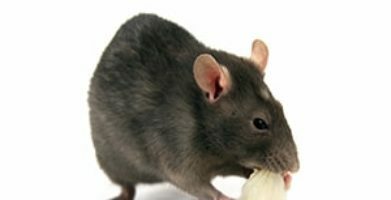 Rodents rely on their sense of smell to help them navigate, find food and detect danger. Our repellents overwhelm their sensitive little noses, causing them to avoid the area altogether. While the main ingredient in Fresh Cab is balsam fir oil, Stay Away Mice contains a unique blend of highly concentrated essential oils like rosemary, spearmint, and cedarwood. For any homeowners who found the scent of Fresh Cab a little overwhelming, our new product offers an alternative. 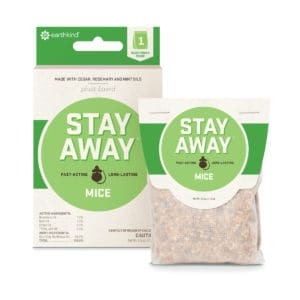 Stay Away Mice comes with the same effectiveness and guarantee you’ve come to expect from EarthKind. Rest assured that Fresh Cab will return as soon as we are able to guarantee that it is made with highest quality, EPA registered ingredients. If you haven’t already, you can sign up for an email notification as soon as it’s available here. In the meantime, we want to thank you for trusting us to protect your home and family. We invite you to try our other products. Please don’t hesitate to reach out to us with any questions or concerns. What a shame this product had to stop being shipped. It worked well and smelled great, like Christmas. I hope it becomes available again soon and works as well. I liked the scent of Fresh Cab, maybe because it worked so well. Put it all my antique cars and never had one problem, with mice or the scent! I just don’t like the smell of the new product. I like the original! I loved the smell. Don’t change or diminish it. It works! Why can't I find Fresh Cab? EarthKind continues to lead the pest control industry in a new direction, one that is friendly to people, pets and the planet. Changing seasons bring rodents indoors for the winter. That doesn't mean you have to resort to dangerous and inhumane mouse control methods. We’ve created another option to protect your home from rats and mice and prevent infestations. Rest assured that Fresh Cab will return as soon as we are able to guarantee that it is made with highest quality, EPA registered ingredients. If you haven’t already, you can sign up for an email notification as soon as it's available here. In the meantime, we want to thank you for trusting us to protect your home and family. We invite you to try our other products. Please don’t hesitate to reach out to us with any questions or concerns. string(44) "What happened to Fresh Cab Rodent Repellent?"